then mount the extra hammer to the charger. concentration is less then 100 PPM. and can effectively protect against short circuiting, over-heating, over-currents, and over-charging, keep you safe and fast charging. 【HIGH SENSITIVE CO SENSOR】Sound and light alerts when CO is over 100 PPM in car. alarm will be beeping and red light flashing, which protects you and your family from dangers of carbon monoxide (CO), especially when you are very tired. 【DUAL PORT CAR CHARGER】This rapid car charger is featured with QC 3.0 port and usb type c port (all ports support quick charge), can charge 2 devices simultaneously at high speed, that provide up to 18W (12V/1.5A 9V/2A 5V/3A) of charging power and non-quick charge devices up to 5V/2.4A. (No Cable Included).It can effectively protect against short circuiting, over-heating, over-currents, and over-charging, keep you safe and fast charging. 【TOP MATERIAL & BEST CUSTOMER SERVICE GUARANTEED】sharp points design(304 STAINLESS STEEL material), in case of emergency like trapped inside the car, you can use it to quickly break through the window and escape. 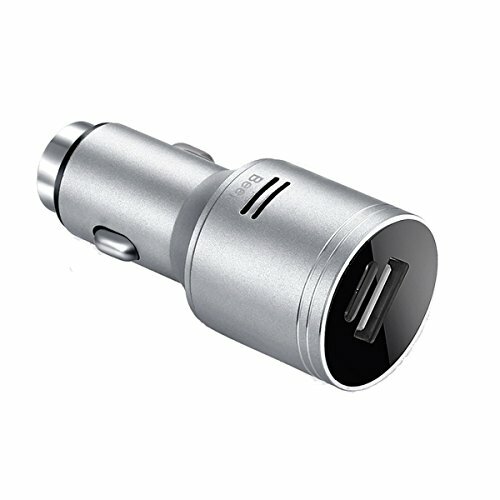 We supply worry-free 12-month warranty and customer-friendly service for the multi-fuction car charger. If you have any questions about this product by FASOHERE, contact us by completing and submitting the form below. If you are looking for a specif part number, please include it with your message.